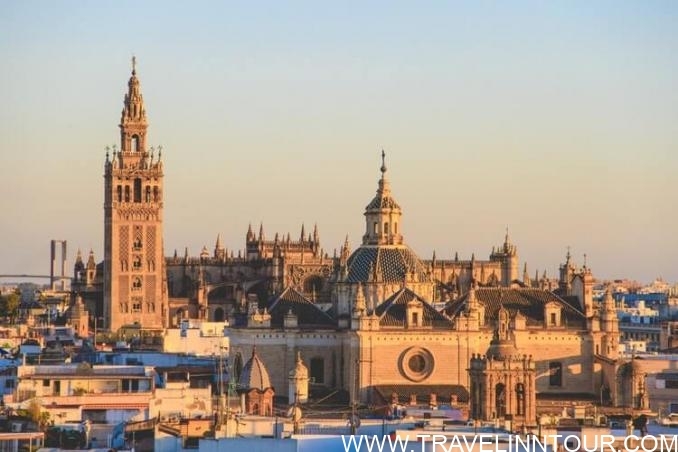 Seville has three world-class sights – the Cathedral, said to be the largest in the world; the Giralda Tower, once the tallest building on the planet; and the Alcazar, the superb palace of Seville’s rulers – all three right in the city center and just a few minutes from each other. It’s now said to be larger than its ‘rivals’ – St Peter’s in Rome and St Paul’s in London. 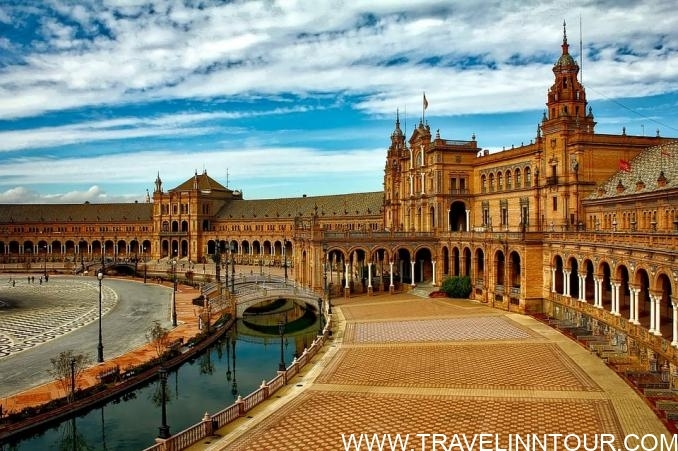 Its total area is 11,520 square meters, but it’s a recent cubic measurement that pushes Seville to #1. Once the site of the city’s mosque, it took just over 100 years to complete. The mosque was demolished except for the Giralda Tower and the Patio de los Naranjos, the orange tree garden seen as you leave. Highlights include the tomb of Christopher Columbus, although there are doubts about the authenticity of the remains. His tomb is held aloft by four gigantic figures representing Aragón, Castille, León, and Navarra. The decoration is restrained, except for the side chapels and the coro, which dominates the center of the building. The altarpiece is the world’s largest and most magnificent with 45 carved scenes by Pieter Nacart – a lifetime’s work. The Cathedral opens 9.30am – 4.30pm, Monday to Saturday, from July to September and 11 am – 5 pm the rest of the year. On Sundays, it opens 2.30pm – 6 pm in summer and 2 pm – 6 pm the rest of the year. The Giralda Tower is accessed from the Cathedral. When built from 1184-96 as the minaret for the mosque, it was the tallest building on earth. The name comes from the weather-vane, or giradillo, that sits at its top, now the bell-tower of the Cathedral. Climbing the Giralda takes in 35 sloping inclines, each numbered, and all built of brick. This wasn’t some early attempt at wheelchair access – it was to allow two mounted guards to pass each other. Wheelchair users are warned – there’s a frustrating short flight of steps at the very top! The Alcázar has been the palace of the rulers of the city since Roman times, although today’s buildings are almost entirely from the Christian period. The style is Mudéjar, the name given to Moors who stayed on under Christian rule. Before then, there was a great Moorish palace, much extended by the infamous ruler al-Mu’adid to house a harem of 800. He decorated the gardens with flowerpots made from the skulls of his enemies! For your entrance money, you get to see virtually the whole complex. Salon del Almirante: Pedro I was known as the ‘Cruel’ and the ‘Just’ – depending on how his judgments went. Almost the first room you reach is the Sala de Justica, where he dispensed justice. Next, to it, the Patio del Yeso is one of the surviving Moorish features. It’s built around the Patio de las Doncellas, named after the tribute of 100 virgins the Christian community had to give annually to the Moorish king. It’s a stunning space, with galleried stories and water features. Carlos wasn’t the greatest architectural patron – he messed up Cordoba’s Mezquita and Granada’s Alhambra. His palace in Seville isn’t any great shakes either! You could spend hours here. They feature ponds, fountains, courtyards, a maze, walls with walkways, all well-proportioned and a peaceful haven right in the city center. Seville has Europe’s largest Cathedral, measured in volume. Seville is a wonderful city to simply wander around, with densely packed narrow streets and squares, and seemingly, a church at every turn. This was once the site of public burnings by the Inquisition. It has been Seville’s main square since the 16th century. The City Hall, at the southern end, is covered in magnificent carving. The new tram service now crosses the square. 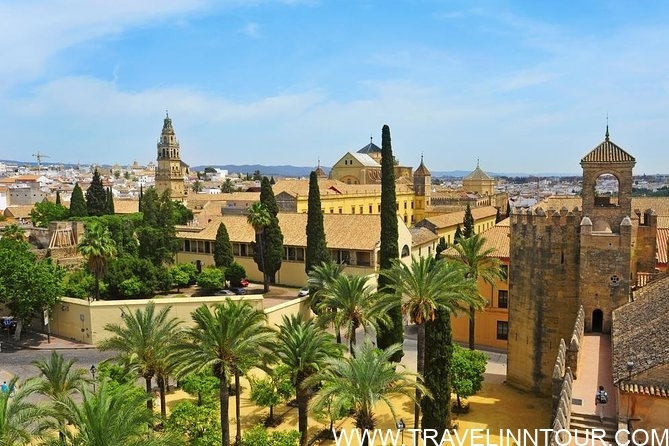 The most fascinating part of Seville, and the ideal place to stay near the main attractions – the Cathedral, Giralda and the Alcázar. Just don’t try driving in the area’s narrow streets unless you really know your way around! Just wandering the streets of the Barri Santa Cruz is an ideal way to get the atmosphere of Seville. Small, specialist shops compete with the big retailers, while every turn seems to reveal an interesting church facade. Many of these parish churches are closed for much of the day but you might get in early in the morning or during the evening. There are many fine patios where families spend much of the summer – try the Casa de Pilatos, at Plaza de Pilatos 1, named because it’s said to be based on Pontius Pilate’s house in Jerusalem. 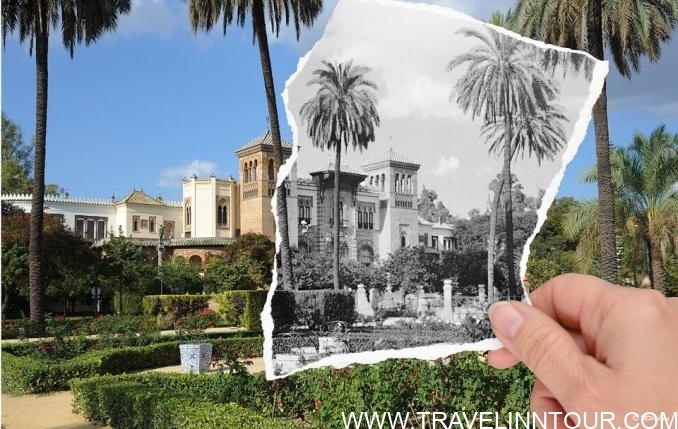 The Medinaceli family still live there, a fine example of a stylish life in Seville. Just north of the shopping street Sierpes is dominated by the Iglesia San Salvador and is one of the prettiest squares in the city. Its bars are popular, and there’s decent tapas to be had. Just by the Cathedral is the Archivo de las Indias, open Monday to Friday from 10 am – 1 pm. It’s free and contains Imperial Spain’s documents relating to the Americas, including the logbook of Christopher Columbus. The building was once the city’s stock exchange. 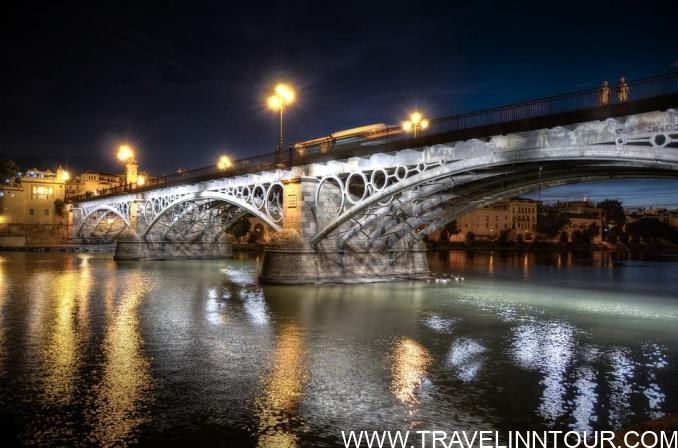 The Guadalquivir is one of the great rivers of Spain and was a key factor in the growth of Seville. It was from here that ships sailed to the Americas. The returning wealth was said to have been stored at the river-side Torre del Oro, or ‘Tower of Gold’. Built in 1220, it was part of Seville’s fortifications. It now houses the Naval Museum. Nearby is the Maestranza bullring, one of the most important in Spain. There are guided tours and a small shop and exhibition. It was the setting for the final scene of the opera Carmen. There are numerous cruises available on the river, normally lasting an hour with boats departing every 30 minutes. Pedal boats can be hired. 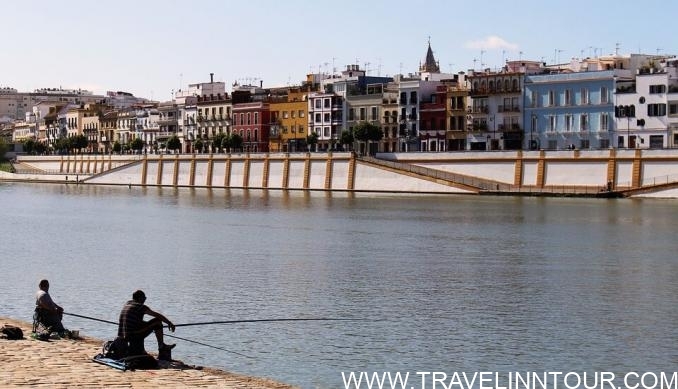 Triana, on the opposite bank of the Guadalquivir, has a selection of restaurants and tapas bars and was once famous for the Flamenco families that lived here but are now scattered around the city. The tour buses run over to this side of the river, the scene of most of the Expo activity in 1992. Much has been converted to commercial sites while other parts have a slightly rundown atmosphere. Two Triana highlights, however, are the Santa Ana ceramics factory, still producing hand-painted tiles, and the Isla Mágica, a large amusement park with rides, much of it themed on 16th century Spain. Wander away from the old center of Seville and you find the wide open spaces of the Plaza de Espana, a huge structure that sits across from the Parque Maria Luisa, an equally huge public space with thousands of trees and quite amazing buildings around its edge. It’s well worth a wander and it provides welcome shade. Built for the 1929 ‘Fair of the Americas’, this semi-circular building and plaza impress initially through its sheer size. At the original fair, the building was used to display Spain’s industry and culture, while the Latin American countries had their own pavilions spread around the adjoining Maria Luisa Park. The seats are a fascinating way to learn more of Spanish geography as each design incorporates a county map. With attractive walkways and plenty of shade, visitors and locals appreciate this large park, laid out for the 1929 Fair and one of the finest formal spaces in Spain. There are ornamental ponds and, around the perimeter, opulent pavilions that housed the exhibits of the Latin American countries in 1929. 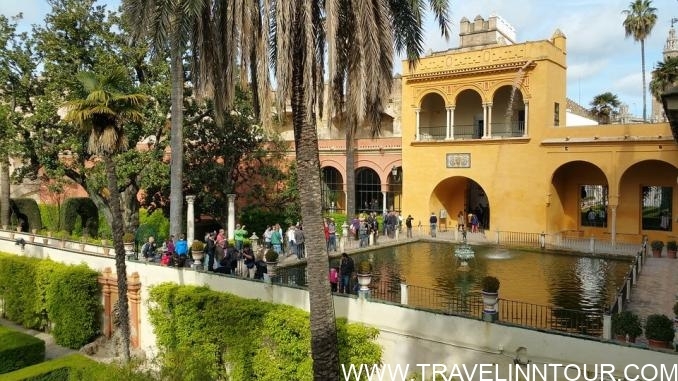 Today, they are home to colleges and facilities such as the Seville Archaeological Museum – featuring a fine collection of gold jewelry from the little-known Tartessos culture – and the Popular Arts Museum. The latter features local crafts and old costumes. Walking from the Cathedral/Alcázar area to the Plaza de España takes you past Seville’s leading hotel, the Alfonso VIII, followed by the Fabrica de Tabacos. Built in 1750, this was once the second largest building in Spain – behind El Escorial outside Madrid. When a cigarette factory, it employed 4,000 women cigarrera, and most famously, was the setting for Carmen. Today, it’s a faculty of Seville University. Near the bus station at Plaza de Armas, the museum is said to be second only to Madrid’s Prado and is housed in what was a convent. It features works by Pedro Millán, Seville’s influential sculptor; Murillo, the painter who lived in Seville all his life; Ribera; Zurbarán; Velázquez and Goya. The collection of works on display is rotated regularly. 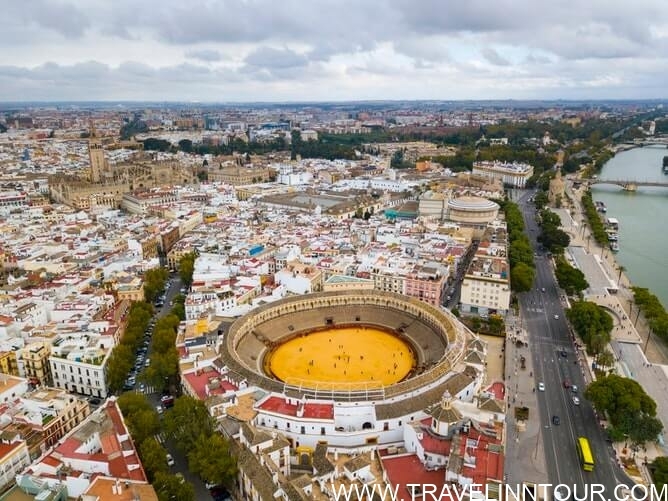 The Plaza de Toros de la Real Maestranza, the bullring, is a very handsome stadium that dates back to 1758, making it possibly the oldest in the country. It was in Seville and at Ronda that bullfighting began on foot – previously it was on horseback. The bullfighting season runs through the summer to mid-October. There’s a small museum and guided tours in English as well as Spanish. It’s down by the river a short distance from the Torre del Oro. 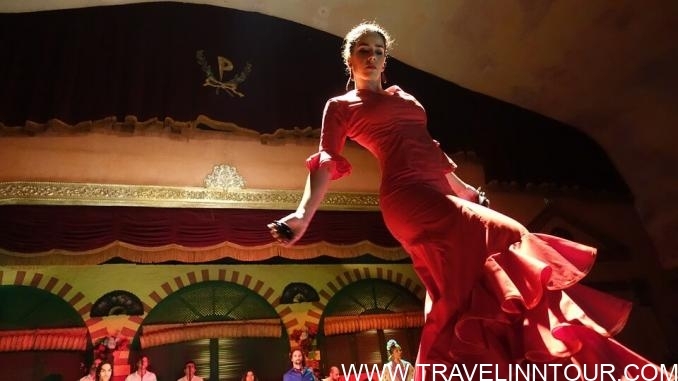 The Flamenco museum opened in 2007 and is owned by a famous Flamenco dancer, Cristina Hoyos. There are exhibits, audio-visual and multi-media displays covering the history, heart, and soul of traditional flamenco. It’s in c/Manuel Rojas Marcos 3. Seville’s location is ideal for holiday trips out to historic cities such as Cordoba, less than an hour by train. It’s just over an hour to the coast and the cities of Cadiz and Jerez while nature lovers will be drawn to the Coto de Donana, one of Europe’s finest wildlife sites. Upstream from Seville on the Guadalquivir, and only 40min away on the fast AVE train, Cordoba is famous as the home of the Mezquita, or Great Mosque, one of the most beautiful buildings of the world. Cordoba was, for a time, the most important city in Europe – for over three centuries it was the capital of the Moorish Caliphate. Today, apart from the crowds visiting the Mezquita, it’s a pleasant yet somewhat sleepy provincial city, very much contrast with the bustle and growth of Seville. It’s a long walk, or short taxi or bus ride, from Cordoba’s modern combined railway and bus station to the Mezquita, the focus of virtually every visit. It was the largest, and certainly the most beautiful mosque in Spain. Today, it’s a Christian cathedral but, except for the altar and coro in its center, is still very much the original Moorish building. It’s an easy train ride – and Cadiz’ rail station is conveniently near the Old Town – or under an hour by road from Seville. One of the oldest cities in Spain, Cadiz oozes atmosphere and history. The 18th century was its golden age when silting of the Guadalquivir River transferred trade with the Americas from Seville to Cadiz. The city seems, in places, to be crumbling away as the salty atmosphere eats away at the limestone buildings. But it’s a relaxed city, easy to navigate as the sea is never far away in the Old Town, a fortified peninsular sticking out into the Atlantic. If you’ve enjoyed sipping Fino and Manzanilla in Seville, it may be worth visiting the home of Sherry, the elegant city of Jerez de la Frontera. Manzanilla comes from Sanlúcar de Barrameda, a smaller and sleepier town nearby and closes to the sea, which is said to give the drink its ‘salty’ character. In Jerez, there are tours of the sherry bodegas – Gonzáles Byass and Pedro Domecq are the big names. The Cathedral and Alcazar are also worth a visit, while tapas bars and restaurants can be found throughout the central part of town. 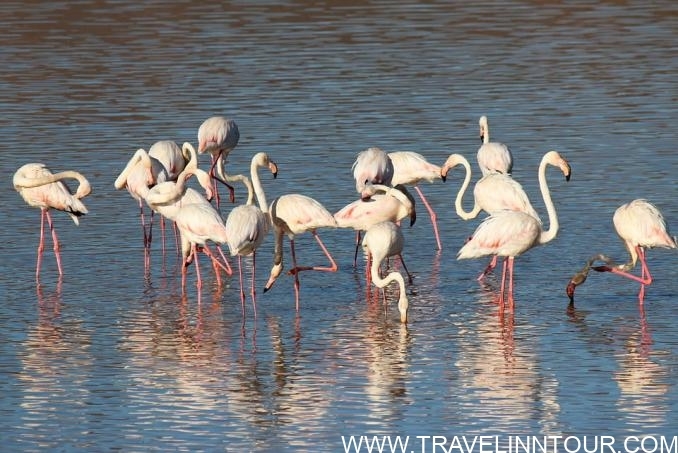 This one of the finest wildlife sites in Europe, with marshes and cork-oak forests attracting huge numbers of birds, including flamingos, the Spanish Imperial Eagle, and numerous rare species. Rarity extends to the animals too – it’s one of the last outposts of the Spanish lynx. Compared with the Costa del Sol, the Costa de la Luz, the coastal strip north of Tarifa, is a total contrast. It’s seen very restricted development and features wide, wind-swept beaches – it’s fabulous windsurfing territory – and white, Moorish-style towns like Vejer de la Frontera. You’ll need a car to get around as public transport is limited. Shere your experience with us and also mention your favorite site in Seville in the comments.